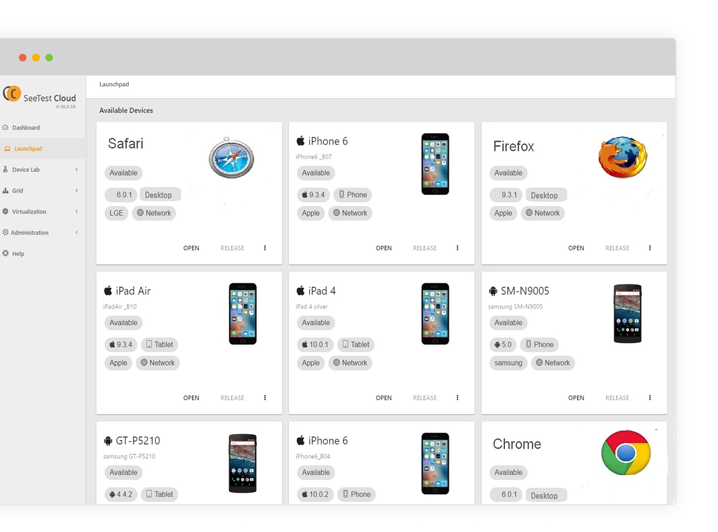 Host and manage a centralized hub of desktop browsers, real mobile devices, simulators and emulators on your own premises. 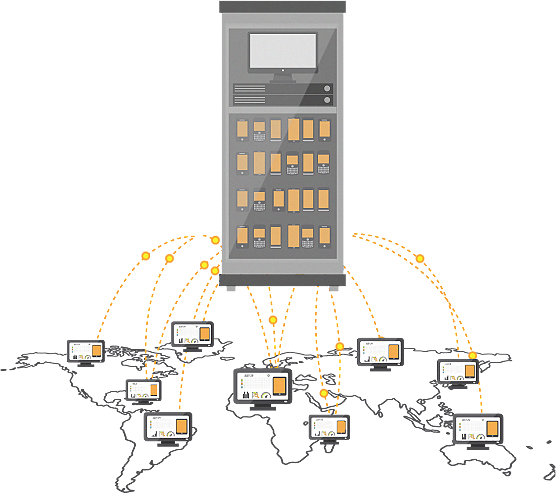 Allow globally distributed teams to securely reserve and access them upon availability. Get immediate support for newly released devices and OS versions, including OS beta versions. 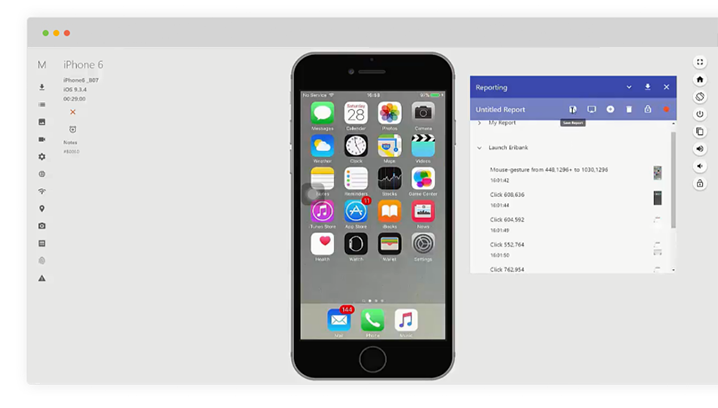 Enable testers to interact with real physical mobile devices in real-time to test new functionality in their app. Allow developers to develop and debug apps on these devices by seamlessly integrating to any development environment. 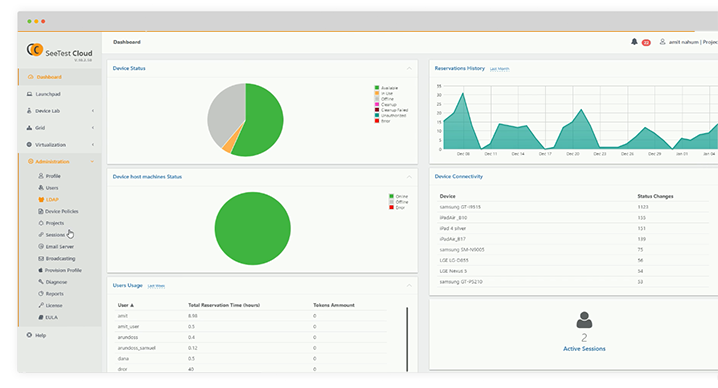 Enable your automation teams to develop and execute tests against devices and browsers in the lab, and get a quick feedback using advanced test analytics dashboards. 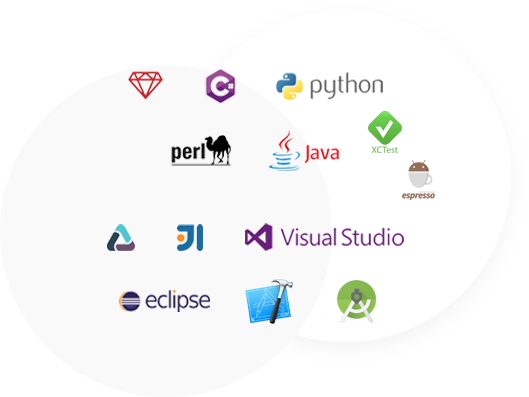 Full integration with all automation environments such as Appium, Selenium, XCTest, Espresso and Junit is included. 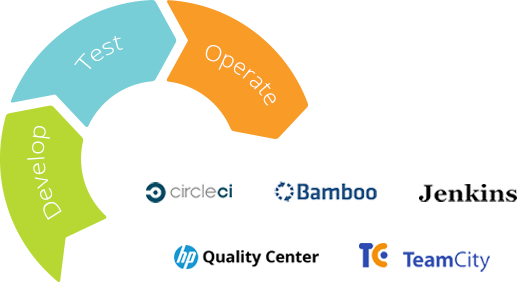 Seamlessly integrate into any Continuous Integration environment. Trigger parallel test execution directly from your CI tool to make continuous testing part of your CI pipeline. Grow quickly with fully scalable lab architecture that enables connecting any number of mobile devices, browser hosts, and users in any geography. Do it safely with a robust setup, enabling full recovery, redundancy and no single point of failure. Set up quickly and easily with a software-only solution, that runs on any standard Windows or Mac machine. Connect off-the-shelf devices to your lab with no required changes to the devices. Resides securely within your company’s VPN and is managed behind your firewall to maintain your enterprise's physical and network security standards. Supports both TLS and SSL security protocols and operates in a purely HTML coding environment. 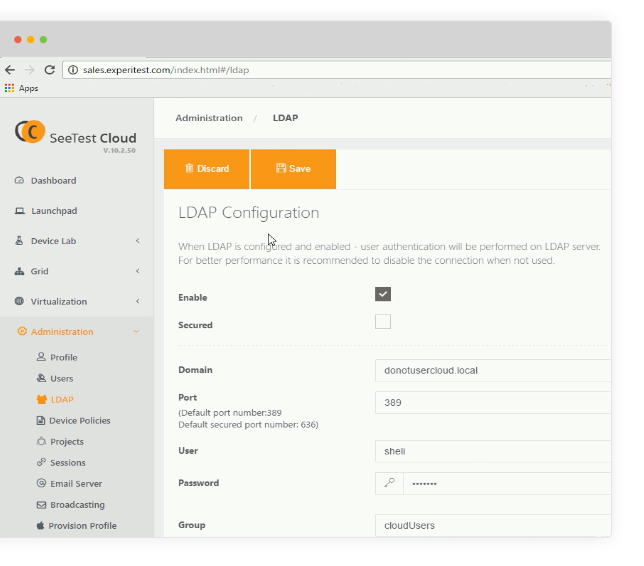 Advanced LDAP integration enables user permission management. View the Admin dashboard and pull usage reports to get usage statistics and real time status of your entire team's activity. Create users and define their roles and permissions. Assign devices, and applications to specific projects and create a secure separation between projects.